The country’s economy is at a very low point and all UK businesses are experiencing differing levels of trade, depending on industry sector and their own general economic stability. Another major factor that can determine business success is location. As businesses grow, develop and change over time, so does customer and general consumer behaviour. The smarter businesses keep up to speed by always having their eyes and ears open, watching for changes in the market, being constantly on the lookout for new opportunities. Particularly for retail businesses, the changes to the main shopping streets across the UK have been significant, with once-fashionable shopping areas in cities and towns often being supplanted by larger and very attractive malls at the edges of a conurbation. The biggest and most successful among these, outside London, are the major retail outlets in Bristol, Essex, Glasgow, Kent, Manchester, Sheffield, Tyneside and the West Midlands. These locations have very different catchments but all offer superb, well-established centres, often close to a retail park with other department stores and with a mix of tenants that include companies working in administration and retail. To be successful these businesses need premises that are easy to reach for clients and employees, and offer a variety of attractive consumer goods or services. Although economic growth is very variable across the UK at the moment, certain locations are doing better than others, and while between 2010 and 2012 Wales and Northern Ireland saw their business bases shrink, Scotland maintained the status quo and England saw an improvement. 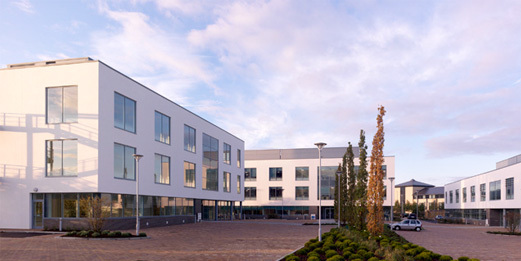 This may be explained in part by the growth in the popularity of business parks across England, which has seen the development of superb office locations providing an attractive range of additional on-site amenities. For example, business parks in Gloucester benefit from; health clubs, supermarkets, pubs, restaurants and overnight accommodation, as well as a selection of retail units. This, plus good local transport and communications, makes them an ideal location, convenient for employees and suppliers alike. As banks, pharmacies and newsagents are added, increasingly business parks are becoming the new, improved high street for office workers. Choosing the right location means taking into consideration what works for customers or business associates, suppliers and the workforce; this will depend on the nature of the business. Of course, cost is always an issue and accommodation that is fairly modern, well maintained and serviced will almost certainly be more cost-effective than older buildings in need of substantial upkeep – even if these appear cheaper at the outset. Public transport, parking and delivery facilities will be key. In Scotland, Glasgow’s retail mall is performing well, and office accommodation in the business parks at Aberdeen and Edinburgh are also good locations as the transport links are good. Where retail is flourishing on Tyneside, so office accommodation in Sunderland complements that provision. Yorkshire and Humber has been cited as an area with a high proportion of firms that are focused on exports and is growing fast, which points to Leeds as a particularly ideal spot. Finally, between the West Midlands and Bristol, Gloucester is also close to Wales, the South West and South East, offering a brilliant location for UK offices.